Bernard GENGHINI is a french former football midfielder who started his career at Sochaux. In the 1979-80 season he was the leader of this amazing team of Sochaux who finished at the third place in the domestic league just behind the two giants of the decade Nantes and St-Etienne. The following season, Genghini knew a second fantastic season in a row and Sochaux made a fantastic UEFA campaign where they lost only in semi-final. 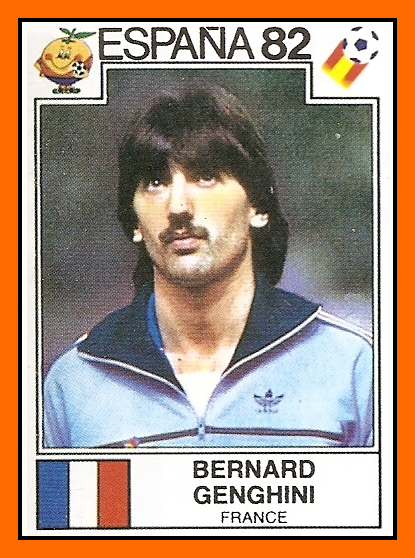 Bernard Genghini became a french international player but there is a major problem. Genghini played as a number 10 like....Michel Platini and Alain Giresse. But the french manager Michel Hidalgo had the solution. For the 1982 world cup the trhee number 10 played together ! That a reason why french loyal fans loved deeply this team because with trhee attacking midfielder, France played so well until the penalty shootouts versus West Germany in a drama semi-final. 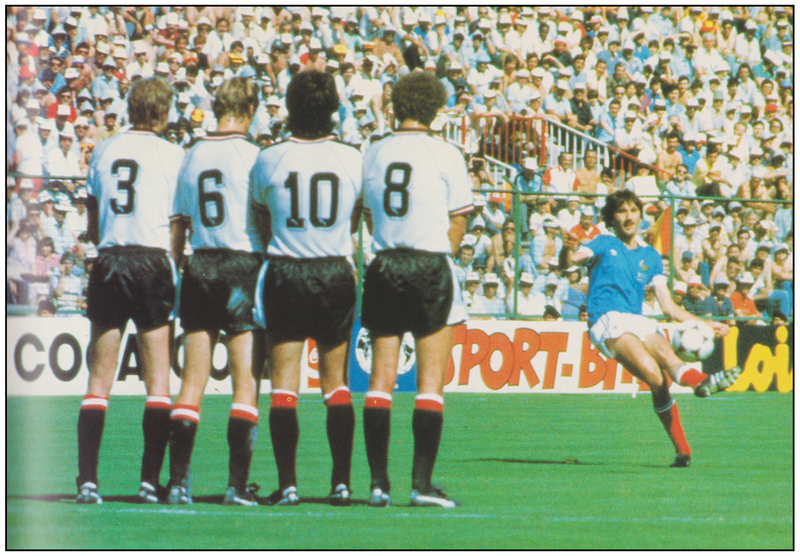 And by the way if usually the french free-kick master was Michel Platini during this World Cup no one was better than Genghini. 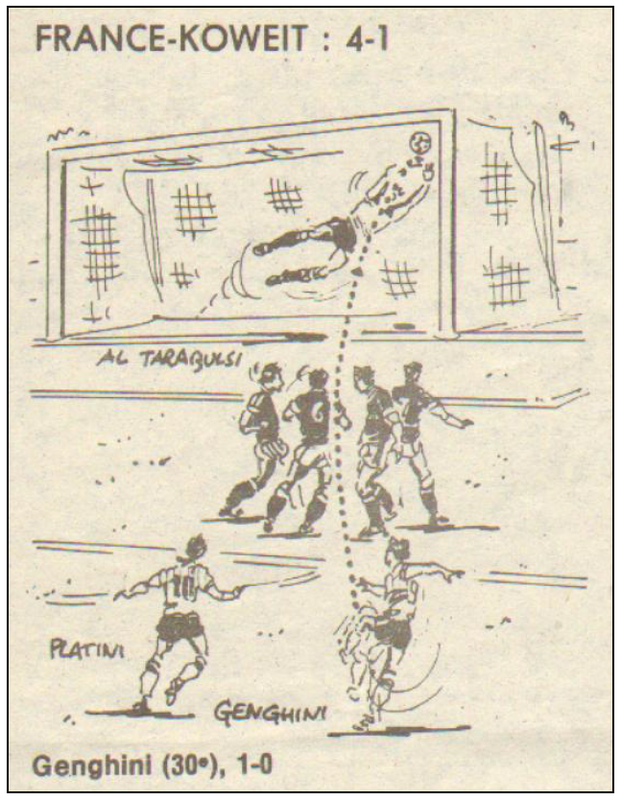 Genghini is a left-food player so he kicked the free-kick on the right side and in the other hand Michel Platini kicked those of the other side. 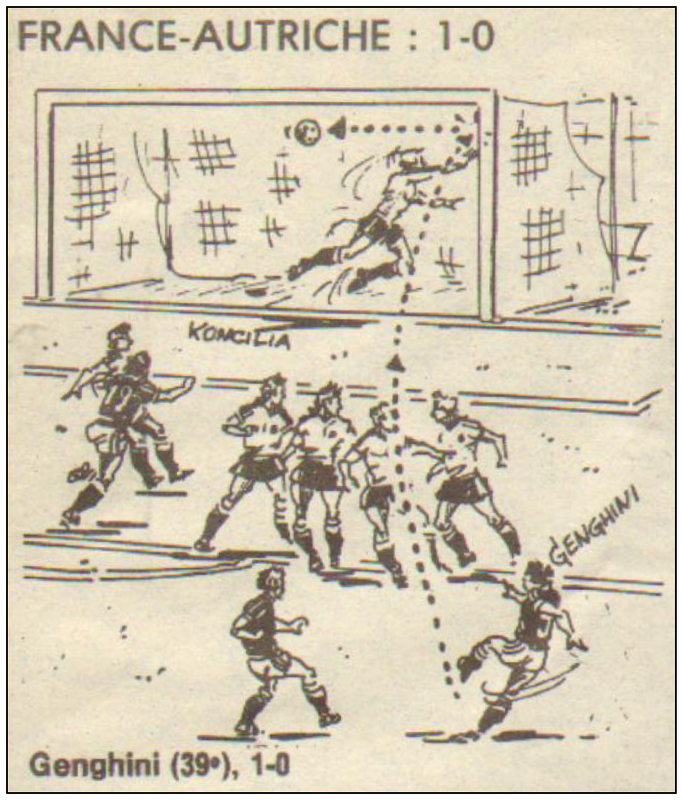 And if we compare the results, Genghini won the game by 2-0. Have a look it's simply splendid. 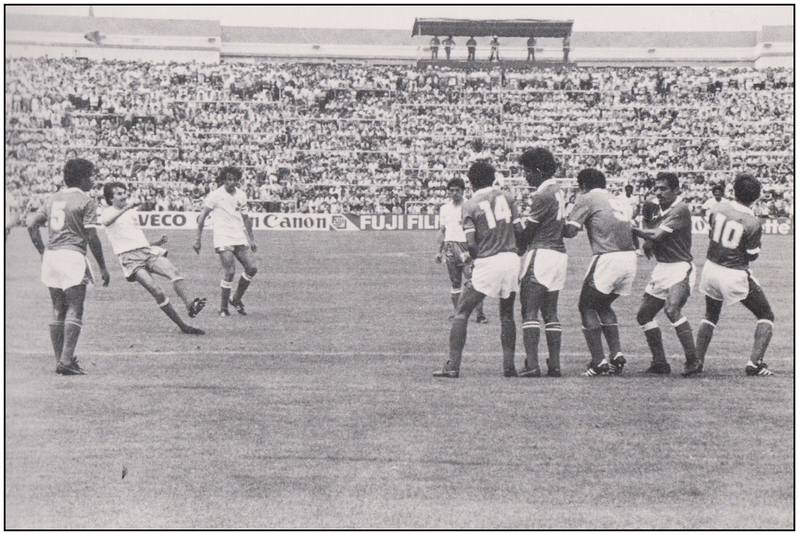 The First one versus Kuwait in the first round for the first goal of this game (4-1 win for France). The second one is versus Austria in tne second round and it was the only goal oh this critical game.